The Transportation Security Administration has decided to make you flying experience even worse by banning uncharged electronics from any flight entering USA. 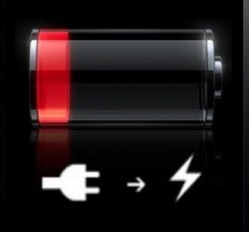 This includes your phone, laptop, IPod, Tablet, MP3 Player and any electronic device that is powered by a battery. This is just the beginning as over time it will become a standard security procedure for all flights. This action suggests that TSA is trying to seize your electronic device and profit from it. Think about it, tell me that you dint have a laptop at some point that had dead battery but you used it anyways by just connecting it to AC power. Well you can’t bring that laptop on the plane anymore. TSA already uses explosive trace detection scanners that will sniff out and detect any explosives and any potential chemicals that can create a explosive. So why does TSA go after uncharged Electronics? TSA explanation is that the electronic device needs to have at least power to power on during screening. If the electronic device powers On then you are good to go but if it does not then you will have option to leave the device behind or miss the flight. Is this the way TSA wants to increase security or just cash in on electronics that will be left behind? TSA claims that terrorists can replace the battery with a explosives and trigger it by turning the device ON. Even if that was the case would that put people the stand in line for screening in Risk? The Screening lines are packed with people that want to get on their flights, yet TSA is not considering that they create risky environment for those people. Now that the Policy is in effect travelers will need to bring chargers for their devices with them which in fact create more baggage to check and more ways to smuggle anything thru security. TSA however has not mentioned anything about check in luggage. So you can still bring your uncharged devices that way but you know how it is with check in luggage, you never know if it will ever reach your destination. I would be really upset if my phone was in the luggage because it was uncharged and somehow got lost. My photos and contacts lost, not to mention my precious phone. This would be extremely upsetting, yet it happens all the time. For those that traveled and airlines lost there baggage know how hard it to get airlines to reimburse you for lost language. They are on with paying the first $100 to replace the suitcase but not the content of it. Lesson to be learned from this is to always make sure you electronic device is fully charged and carry a charger whenever possible. Don’t let TSA profit from you and your electronic devices.